Today, Malaysia observes the day when the country became free from British rule in the year 1957. This year’s theme for Malaysia’s Independence Day is “Unity is the Core of Success” and celebrates its multi-racial and multi-religious communities. In honor of this day of celebration, EzineArticles expert author from Malaysia Shawn Lim is today’s Author Spotlight. 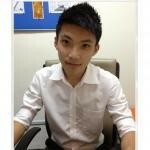 Shawn Lim is an aspiring internet entrepreneur and blogger in the success and wealth creation field. He believes that the true “secrets” to becoming an internet millionaire are hard work and smart strategies and hopes that his articles inspire his readers. In his article, The 4 Keys How to Achieve Anything You Want in Your Life, Lim uses his conversational writing style to list and expand on his 4 simple keys of achievement that can be applied to any life goal. These keys are empowering in their simplicity and a great reminder for anyone who wants more success in their life. What makes Shawn Lim an Ideal EzineArticles Author? 113 articles submitted and live in the month of August 2008! Easy to read article body formatting with clear introduction, body and conclusion paragraphs. An EzineArticles Platinum Member since June 2007, Shawn has 369 active articles with over 24,700 views. His articles can primarily be found in Internet Marketing and Internet and Business Online subcategories. Shawn furthers his credibility by displaying his EzineArticles Expert Author badge on his blog and links it to his extended author bio and photo. Thanks Shawn Lim for being an EzineArticles Expert Author and to all 1,110 authors from Malaysia…enjoy your national day of celebration! Yes, it’s Malaysia’s independence day. You know what, many of us do not know what the flag represents. Things are not going too well here. There are individuals who are flying the flag upside down, showing their distress over the present situation. I’ll leave it up to you if you want to share your identify and articles for everyone else to read. If not, best wishes for the day when all flags fly rightside up. All the best for all Malaysians, besides the existent problems. This is part of human life! Congratulations for all your efforts writing so many articles for and your positivism, Shawn Lim! Belated celebratory congratulations for Malaysia’s Independence Day. Also, thanks for this continuing focus on each country’s independence day celebrations, Chris and for profiling a representative author as part of that process. capital- hosted the FIBA Basketball World Championships, Commonwealth Games, FIFA Junior World Cup, FIVB Junior Championships. The national badminton team -national sport- has won several Asian and world titles. Malaysia, also known as ‚¬“The Pearl of Asia‚¬,is the birthplace of Tsaing Ming-liang (famous film maker), P.Gunaian ‚¬€one of the best badminton players in the 1970s-, Michelle Yeoh. Michelle is considered as one of the best actresses in the world.She was the main actress in the Oscar-winning movies ‚¬“Crouching Tiger‚¬, ‚¬“Memoirs of Geisha‚¬ and ‚¬“Iden Dragon‚¬. Belated Congratulations on your big day at EzineArticles! Your 113 articles submitted in August is quite impressive. In fact, your overall record is impressive. Even though it is October now, I celebrate you today. I had a reading… it was mind blowing! whats the biggest tarot deck you use? Congrats ne how! !